So, have you heard enough holiday music yet? Are you missing baseball enough? 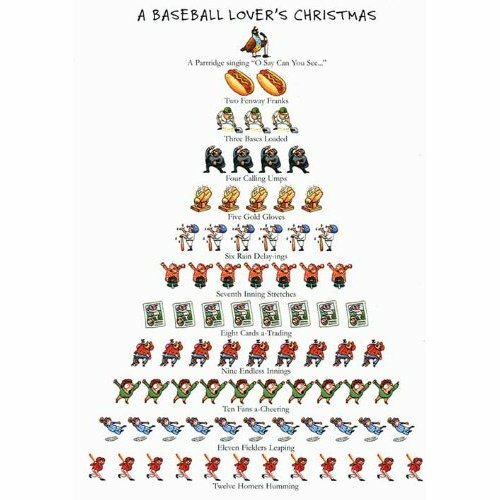 If the answer to both questions is “yes”, please take a gander at my baseball name-oriented version of the “12 Days of Christmas”. Holy Cow, lady, do you ever have a way with words. Wonderful! Wow! Very impressive, Diane. Cheers! And yes, I'm missing baseball, though the holidays are keeping me busy. January is the tough stretch, nothing but cold and dark. And basketball has never interested me. My favorite is Nye Nadys Duensing. and, of course, my favorite is:.